What most people forget is how to present a ring. Every couple has a special something between them, a song, a poem, a place, a saying, a theme, something that has special meaning to them, maybe we can incorporate that into a ring box just for you. 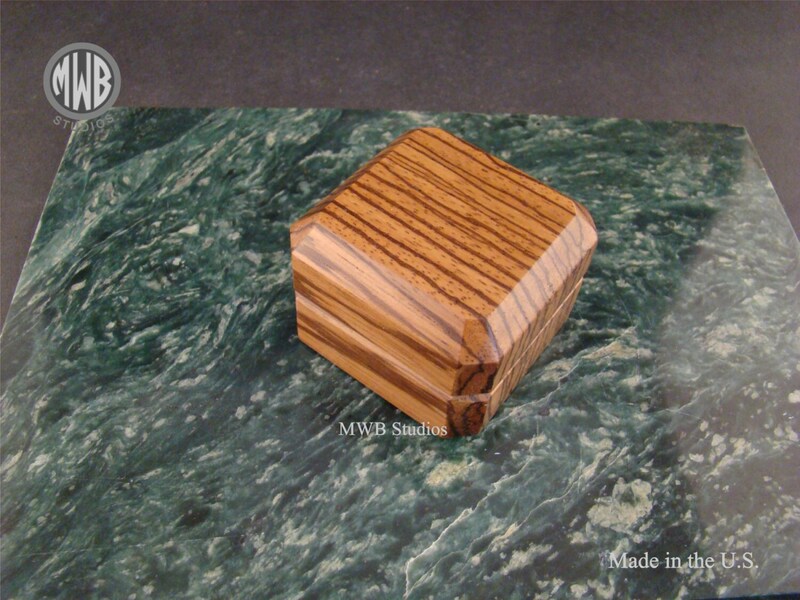 Each of my ring boxes are handcrafted one at a time using solid woods and veneers. They now have a larger cavity to hold larger rings. If you want something special engraved inside the lid or on the bottom or a special inlay, just let me know, I will gladly work with you to make it extra special. Most of are ring boxes are 2-1/2" x 2-1/2" x 1-1/5" with two solid brass hinges. GUARANTEE: If for some reason, and I'm sure it would never happen, but in the event she or he or they say No........first off, that's a bummer but don't stress, just return the box to us and we will refund your money less shipping. Custom boxes are not included, if it had a custom inlay or one of a kind design, sorry, you get to keep that one but for any of our stock boxes, even if there was engraving inside the lid, you can return it. RING CUSHION COLOR: You also have your choice from 15 colors for the insert. 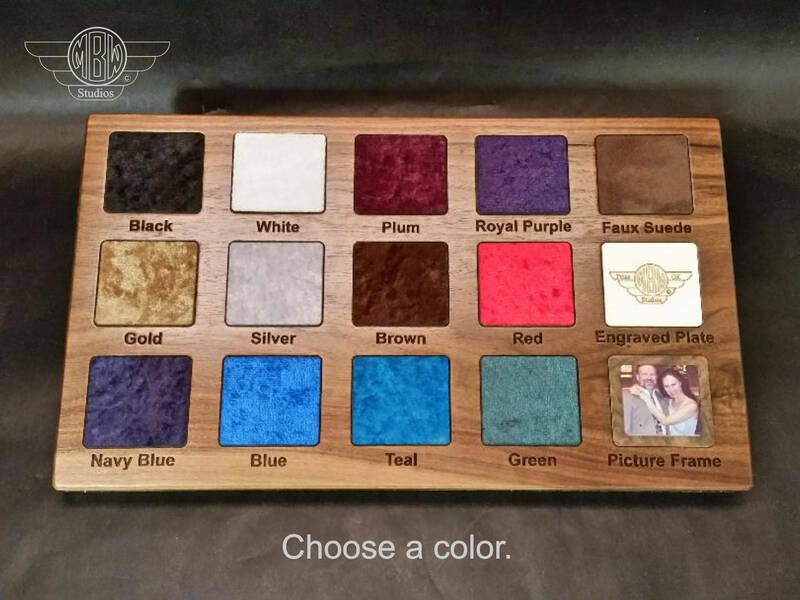 Please pick a color. If one is not chosen, the box will ship with a black insert. CLOCK OPTION. I also offer an option that will allow the love of your life to continue using the box you purchased for them long after they said yes. Keep that moment in front of them and remind them how much they mean to you. The movement is approx. 1.5" in diameter and just snaps into the box after you remove the foam that held the ring. Just purchase the option when you order the box, here is a link to that option. 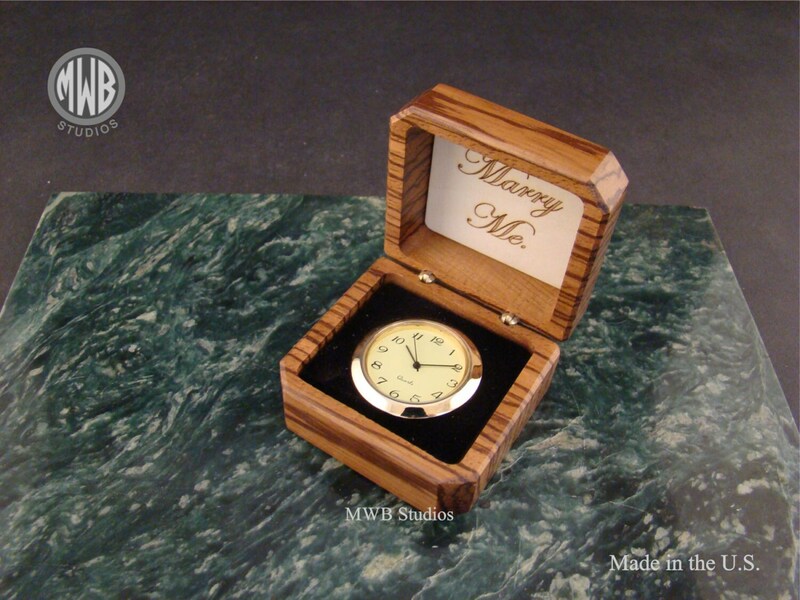 https://www.etsy.com/listing/93934955/clock-option-for-ring-box-mdc-9 The option is only $12.00 extra. option is priced at 5.00 + ring box price. PICTURE FRAME AND CLOCK OPTION: This option allows you to take the ring box and place it at work on your desk or in home office, this option also looks great on a book shelf. Place the ring box anywhere. Be reminded of that special day with a photo and keeps time. 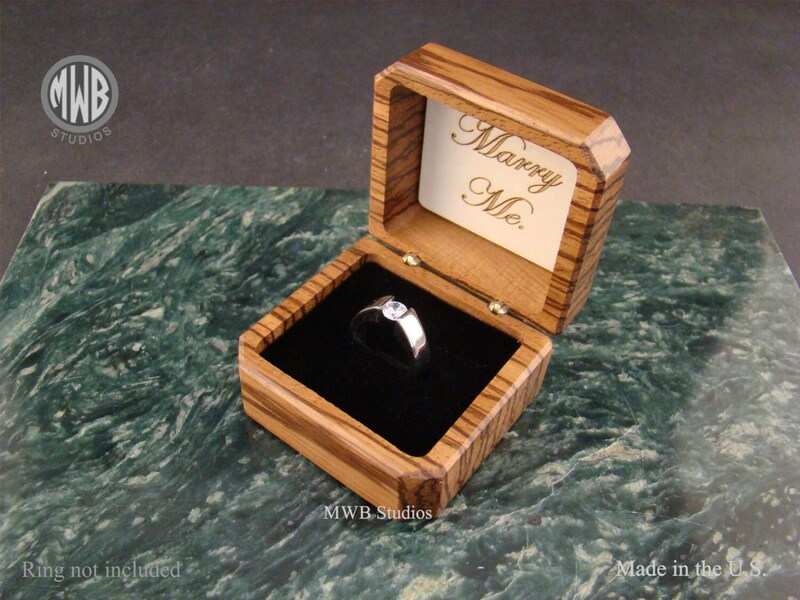 This option is priced at 17.00 + price of ring box. SHIPPING: I normally ship the box via USPS first class mail which will take 3 to 5 days. If you need it sooner then I can ship priority mail which is 2 to 3 days and that will run $6.00 extra. If you need it overnight, that is express mail and it runs $30.00. You can upgrade to either priority mail or express when you check out. OVERSEAS SHIPPING: I do ship overseas to several countries but unfortunately not for free. 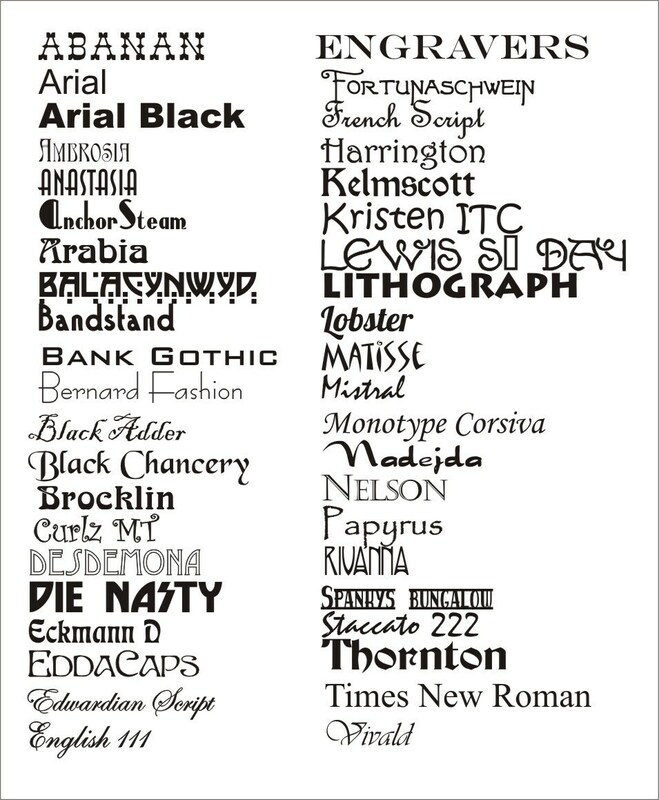 My items are priced for the American market so any overseas sales do not include any duties such as VAT or surcharges you may be required to pay. If you do not see your country on the list to where we ship, please contact me and let me know where you are and I will calculate a shipping cost for you. Please see my shipping and policy section. Also allow 14 business days from the time it ships. We keep many of our more popular boxes on the shelf ready to go. For those we do not, it usually takes 3 to 4 days to produce and ship. RING IN PHOTO IS NOT INCLUDED.